While authorities are still on the hunt for a bombing suspect that has kiled at least two in Austin, Texas, federal authorities have charged three men with bombing attacks on a church and a health clinic. Michael B. Hari, 47; Joe Morris, 22; Michael McWhorter, 29 of Clarence, Illinois are facing multiple charges but were arrested on weapons charges specifically. 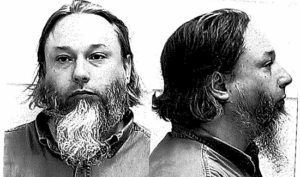 An informant tipped off the federal authorities about more attacks. “I am afraid someone will get hurt if someone doesn’t do something,” the tip sender worried in correspondence with federal law enforcement. “I also sent something about it to the newspaper, so if you just blow it off like you did that school shooter kid in Florida the press will know you got a tip, so you better check it out. Just saying you did screw up once and he has a rebel flag on a pole in front of his house,” the tip continued. In addition to the bombings, the three men are suspected of committing at least one armed robbery while dressed and identifying themselves as law enforcement.